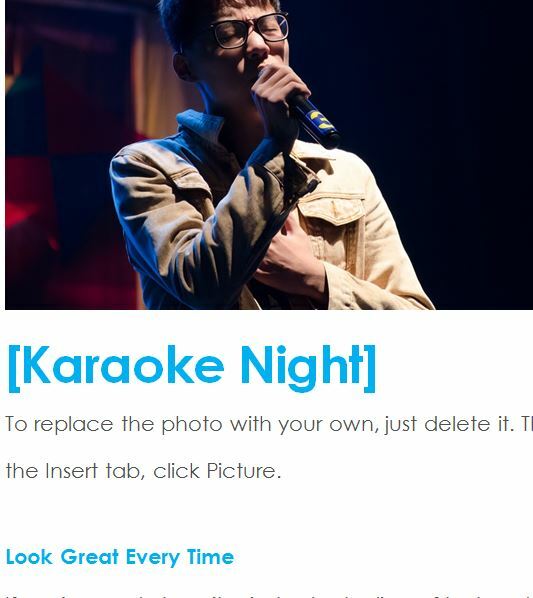 Maybe you’re the karaoke king or maybe you have a cool 21st birthday bash coming up, the free Event Announcement Template is your new way to get the word out. 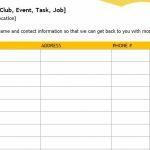 You can use this free template to send emails or even print invitation to your next big event. 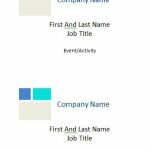 The best part about this template is that you’re able to customize the sheet quickly and easily. You’ll start by downloading the template and the document will show you how to change the items necessary to make the sheet your own. You can get started today by downloading the document and reading the guide below. To download the free Event Announcement Template, you can click the link at the bottom of this page. Alright, your main hook for this template is going to be the image. This should tell a story, what your event is all about. The example listed shows you a karaoke night party! Of course, you will want to change the image to match your own event. When you find and upload a picture that you want on your computer, you will switch them out by right-clicking the sample image then choosing the “Change Picture” option. Next, you should give your creation a title in the first blue header, below the image. This will sum up what your event is all about. 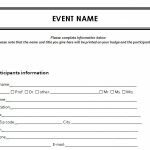 After your title, be sure to list the details of your event in a fun and friendly way. A list of the date, time, and location would be perfect. When you finish the details of the event, just give a short description of your event in a small paragraph. If you’re celebrating your soccer team’s season victory, you might say something nice about the team and the people who came to support you over the course of the season, etc. This is simply to give your event-goers more information. It’s simple and easy to make a flyer for your unique event!